Dr. Jaclyn Scroggins was born and raised in the west suburbs of Chicago, Illinois. She completed her undergraduate studies at Francis Marion University, in Florence, South Carolina obtaining a Bachelor of Science in Biology while playing division two volleyball for the university. Coming back closer to home, she continued her education at Southern Illinois University School of Dental Medicine where she earned her Doctor of Dental Medicine degree. 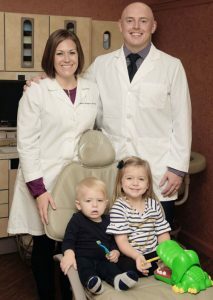 Following dental school, she worked as a general dentist in Litchﬁeld, Illinois where she developed her passion for orthodontics. In search of further knowledge, she began the orthodontic residency program at Saint Louis University in pursuit of a Certiﬁcate in Orthodontics and a Masters Degree in Dentistry. As a recent graduate, she is up to date with new and emerging technologies and techniques in order to bring new ideas to the table within the current Junction Orthodontic team! Along with various alumni associations, Dr. Scroggins is a member of many professional organizations such as the American Dental Association, the Missouri Dental Association, the American Association of Orthodontists, and the Omicron Kappa Upsilon national dental honor society. 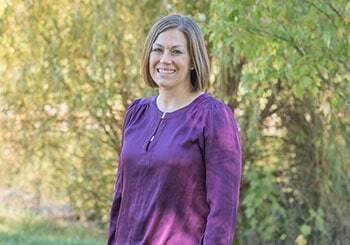 During her free time, Dr. Scroggins enjoys spending time with her husband, Kenneth, their children, Patsy and Michael, and their dog Rocky. She continues playing volleyball and enjoys traveling.